In 2006, a group of young leaders working to reform education in India came together to seek an innovative solution to end educational inequity in the country. The group firmly believed that any change in the education sector needed to be systemic and that India needed to be infused with a large number of leaders who would work towards achieving educational equity for all children. During this time, the group met with Wendy Kopp, CEO and Founder of Teach For America (TFA), to discuss the feasibility of Teach For America’s Theory of Change working in India. Seeking to adapt the Teach For America model to the Indian context, the group engaged with a number of stakeholders within the government, at academic institutions and at corporations and were encouraged by the favorable response they received. A few months later, a twelve week study was launched by McKinsey & Company to determine the feasibility of implementing this model in India. The study concluded favorably and at the end of the process, plans to place the first cohort of Fellows and to scale up the movement were outlined. Teach To Lead was formally established in 2008 as a not-for-profit organization whose mission is to create a movement of leaders who will work to eliminate educational inequity in the country. 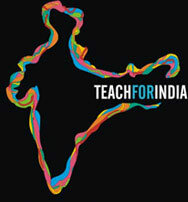 Teach For India, a project of Teach To Lead, is a nationwide movement of outstanding college graduates and young professionals who will commit two-years to teach full-time in under resourced schools and who will become lifelong leaders working from within various sectors towards the pursuit of equity in education. In June 2009, Teach For India placed its first cohort of Fellows in low-income municipal and private schools in Pune and Mumbai. Students and professionals with a Bachelor’s Degree at the time of joining the Fellowship are invited to apply. Applicants need to be either of Indian citizenship, or of Indian origin. Where will I find more information on Teach For India and the Fellowship program? Please read through Fellowship FAQs where you will get required information on Teach For India and the Fellowship program. You must have completed all coursework required for your undergraduate degree (Bachelor’s degree equivalent) from an accredited college or university by last week of May 2013. Your degree transcripts (graduate/postgraduate certificates) will be reviewed before an admission decision can be taken. Applicants must also pass any coursework indicated in their transcripts at the time of the interview. You should be 1) an Indian citizen or 2) a foreign national of Indian origin. Foreign citizens who are not of Indian origin are not eligible to apply. You should be willing to make a full-time commitment to teaching and living in one of our placement cities (Mumbai, Pune, Delhi, Chennai and Hyderabad) starting June 2013. Fellows of the program will be full-time staff members of the schools, in which they are placed, and will work stipulated school hours, six days a week. You should be fluent in English as Teach For India Fellows will be placed in English-medium schools and will be expected to conduct training in English. There is no age limit to apply for Teach for India Fellowship Program. In spite of registering, why have I not received an email yet? We are sure our system is completely compatible with email services such as Gmail and Yahoo. However, there are certain email services such as Hotmail that have a highly restrictive email filter and hence, it could be the case that the email we sent did not get delivered to you. We request you to register using a Gmail or Yahoo account. Also, please check your Spam/Junk folder to ensure the email has not gotten delivered there. The online application is designed to let you complete various sections in your own time before you submit the final version. Please ensure that you click on “Save and Proceed” button at the bottom of every section before moving on to another section. The Admissions team will only review your application once you submit it. They will NOT look at your application while you are still working on it. On the Application form, how do I enter my GPA/percentage/cumulative average? Please check whichever measure is most relevant to you, and then fill in both your score and the base from which it was calculated. Please give only one measure. For example, if your institution uses “Cumulative Average” as its measure for academic achievement and your cumulative average is 8.0/10.0, please check “Cumulative Average”, and then fill in “8.0” on Score and “10.0” on Base. If your institution does not calculate any of these measures for you, you will have to calculate the average of the final grades of ALL of your coursework, and fill in the relevant information. Please note that if you attend an Assessment Centre, we will ask for copies of your marksheets or transcripts to confirm the score you indicated. Why are the Essays important? Essays are your chance to tell Teach For India about yourself in your own words. Please spend time thinking about how you will answer your questions, and learn about Teach For India—by talking to staff members, reading our website, watching our video and reading media articles—before answering the essay questions. Please ensure that you have checked your essays for spelling and grammar, and answered each question fully. We recommend that you show your essays to someone who can help you proofread to make sure that you submit a polished copy. You will first hear back from us within two weeks of the deadline that you applied for. For example, if you apply before the first deadline of 29 August 2012, then you will hear back from us by mid-September with the result of your application. Assessment Centre, which is a full day session where the applicants go through a group discussion, a sample teaching session, a written critical thinking test and a personal interview. Additionally, once selected, we will ask you to furnish references of people you have worked with professionally or your professors who will be able to vouch for your performance and suitability for the role. Ministry of Home Affairs. To apply for the OCI card, please go to Online OCI Registration Form. We recommend applying for the OCI card as soon as you have made the decision to join the Fellowship, as it takes approximately 1-3 months to receive the card. Please email us at apply@teachforindia.org if you are having technical issues with the form or otherwise. हमारी फिल्म का संगीत वेद नायेर ने दिया है. .. वेद जी को अपने संगीत कि प्रेरणा जंगल में चिड़ियों कि चहचाहट से मिलती है.